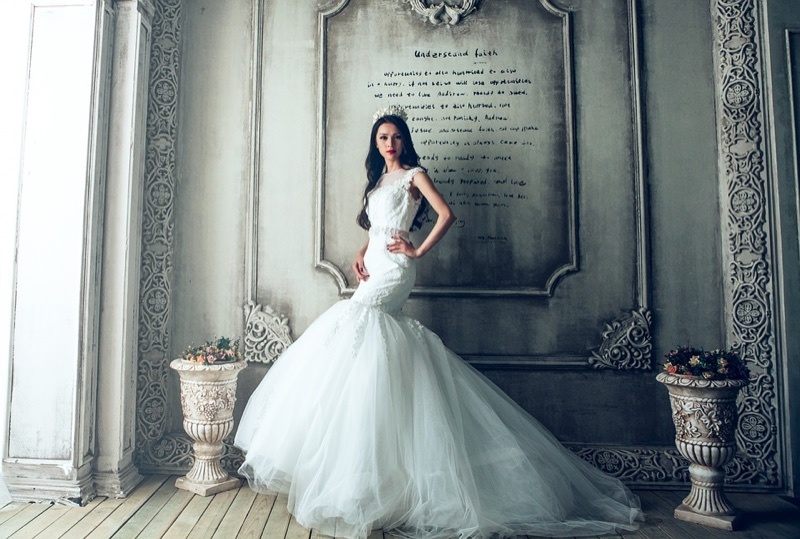 When it comes to your wedding day, a major amount of time and effort goes into finding the perfect dress. But every bride knows that it is not just about your gown. Every single accessory counts from a veil to your shoes and even your jewelry. An amazing dress is definitely an important factor to looking good, but if your accessories are less than stellar, they can easily bring your look down. In this guide, we rounded up five items that you want to get right for your big day. From wedding veils to bridal sashes, discover them all below. The first accessory we will be looking at is the wedding veil. This traditional accessory can add a sense of drama and mystique to any dress. Whether you are looking for a short veil that just covers your face, or a long veil that reaches to the floor–it’s all about showing off your personal style. A lace veil works perfectly for the more traditional bride while a sequin embellished style works for the more modern bride. 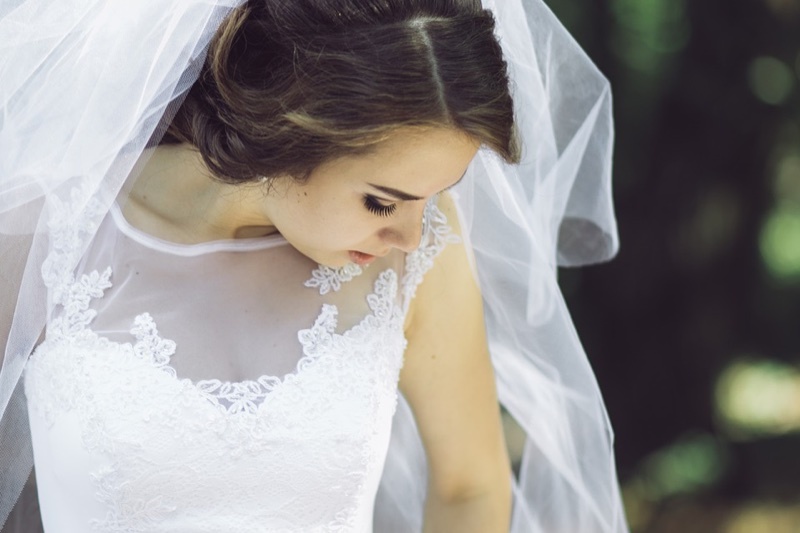 Now that you have your wedding veil taken care of, you’ll want to focus on your hair. Will you be wearing it up or down? Maybe half up and half down. Another way accessory to pay attention to for your wedding day are hair clips, combs and halos. Picking out your hair accessories can easily allow you to showcase your personal style. If you normally wear bohemian style, choosing a floral embroidered headband or halo is a good choice. More into a classic look? A glittering comb attached to an elegant bun will look absolutely timeless. And if you want to keep it understated, looks for a bejeweled pin. 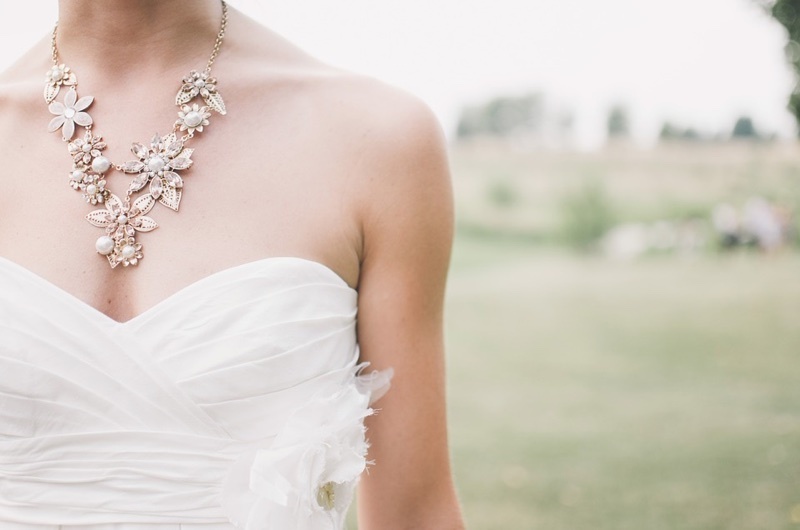 Another aspect of your wedding look that you should focus on is your jewelry. Whether you want to keep it simple by just wearing earrings or layer up on the bracelets, there’s plenty of options. Of course, you need to consider the silhouette of your dress before selecting your jewelry. If you have a plunging neckline, a large, pendant necklace can really pull the look together. For those who decide to wear their hair in a updo, a glittering pair of chandelier earrings channels an elegant look. And if you want to pay homage to your relatives, you can easily wear family heirlooms to bring a sense of tradition to the ceremony. 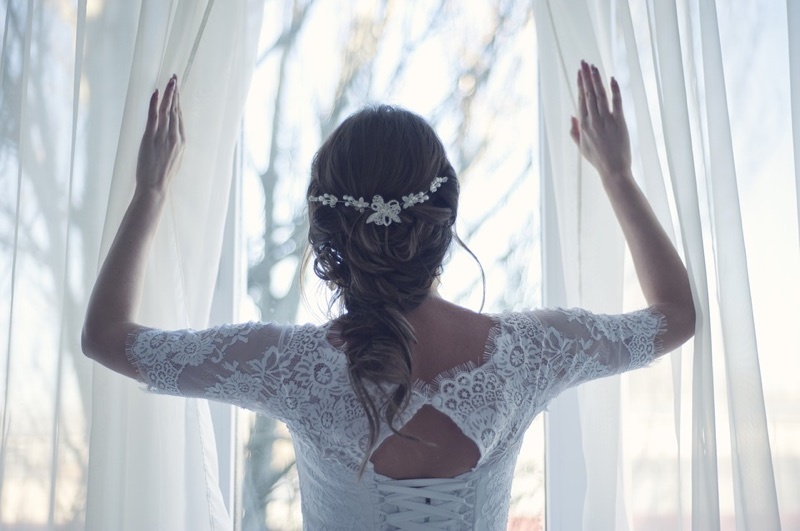 Another perfect finishing touch to your wedding dress is a belt or even a sash. We recommend to let your dress take the lead when it comes to selecting a belt. The more minimal your dress is, the more opulent your belt can be. Think crystals, sequins and jewelry. On the other hand, if your dress is already embellished, a simple satin sash will make the ideal accent. It’s the small things that make a difference. Last, but not least, we put a focus on shoes. When it comes to footwear, you must focus on style, color and silhouette. 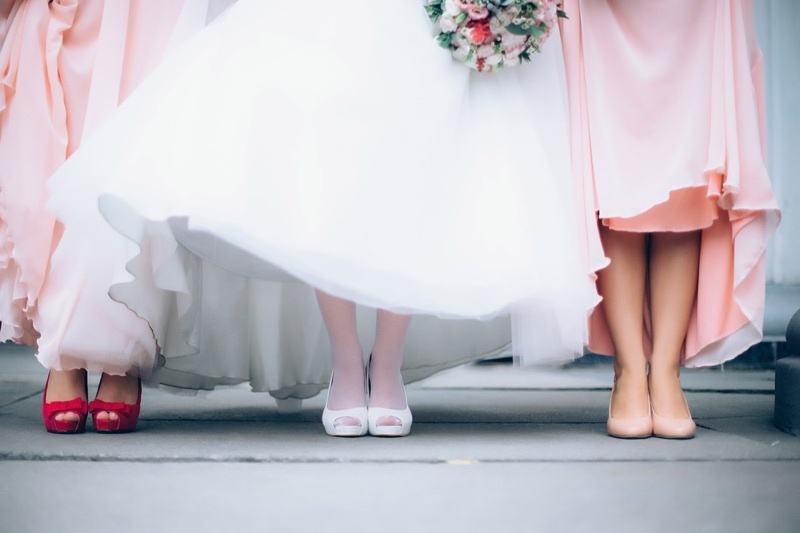 An ivory pair of pumps can go great with a traditional white wedding dress. However, if you want to turn up the shine factor, search for glittering sandals embellished with crystals. If you are a girl looking for comfort, don’t be afraid to wear flats! But look for those made in special fabrications. Lace or satin ballet flats will be absolutely gorgeous with just about any look.